The Duffer Brothers, who created Netflix’s “Stranger Things,” are being sued by a producer who claims they ripped off his idea. Producer Charlie Kessler claims the brothers based the show on his short film, “Montauk,” about secret government experiments that allegedly took place in the 1980s. Kessler alleges that he spoke to the Duffer brothers in 2014 about turning his short film into a TV show. Matt and Ross Duffer, the creators of Netflix’s “Stranger Things,” are being sued by producer Charlie Kessler, who claims the brothers ripped off his 2012 short film, “Montauk,” according to multiple press reports. TMZ first reported the lawsuit’s existence on Tuesday. In the suit, Kessler claims he went to the Duffer brothers in 2014 about turning his short film into a series, but the conversation never became more than just a pitch. Kessler’s short film, which is available to watch on Vimeo, is about secret government experiments in Montauk, New York (on Long Island). “Montauk” premiered in 2012 and won a prize at the Hamptons International Film Festival. 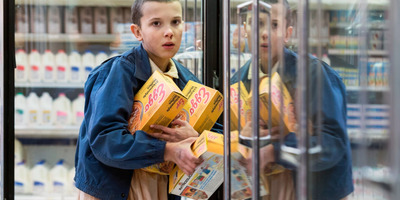 Kessler claims he met with the Duffer brothers two years prior to the premiere of “Stranger Things” on Netflix in July 2016. Kessler claims the Duffer brothers took his idea and turned it into their own show without giving him credit. “Stranger Things” instantly became a mega-hit and has become one of Netflix’s biggest shows. The series resembles an alleged real-life government experiment known as “The Montauk Project” (on which Kessler’s film is also based). Netflix didn’t respond to a request for comment from Business Insider.